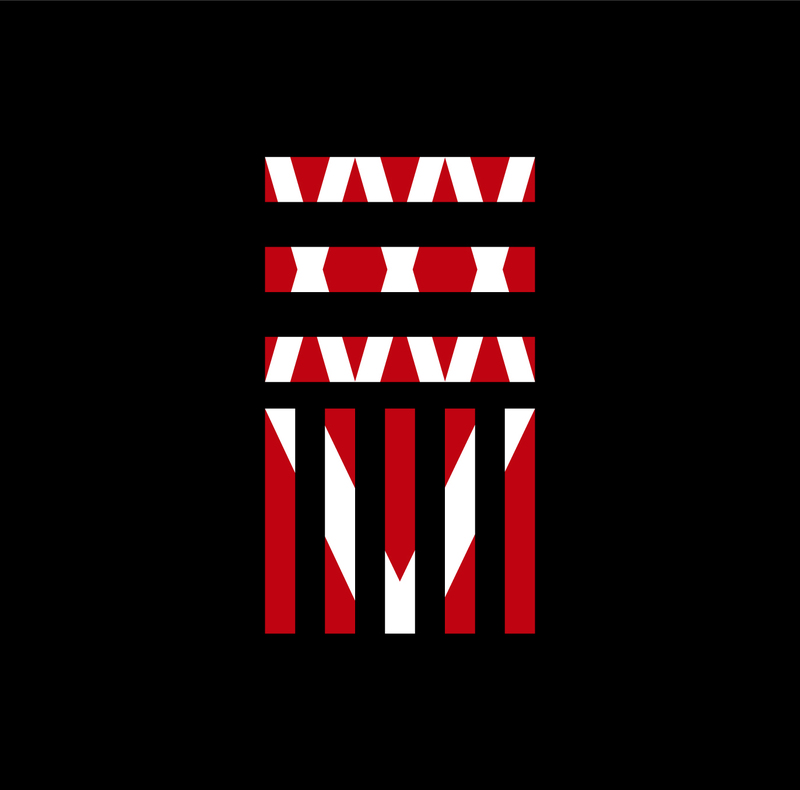 REVIEW: ONE OK ROCK - 35xxxv Deluxe/U.S. Edition | VKH Press – J-Rock & Visual Kei Coverage Worldwide! After ten years in the music industry, an English-language album release from Japanese super-group ONE OK ROCK is on the horizon here in the states! While the band has always been decently popular in their home nation (their debut album "Zeitakubyou" selling 26,000 units and reaching the top 15 on the Oricon charts), their most recent album is their highest charting and second best selling album to date. Coming two years after their most popular release, 35xxxv really brings an energy and emotion that can take their career to the next level. Out of all seven of their magnificent albums, this one has the most potential to take America by storm. The Deluxe U.S. edition of 35xxxv hits stores on September 25th through Warner Bros. Records. Not only are all of these songs re-recorded in English, but the album also includes two exclusive tracks made especially for this release. 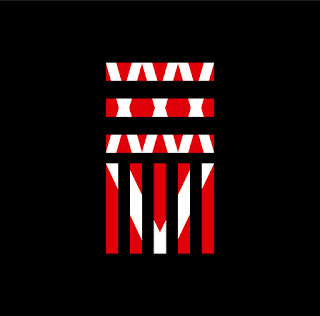 What you're about to enjoy is the first taste of what's to come from ONE OK ROCK this year! The album's pseudo-title track and introduction, "3xxxv5," is actually an incredible beginning. While it doesn't do much for itself, being that it's length is so minimal, the album as a whole is made better for this 2 minute introduction that allows the listener to learn a bit about what to expect from the upcoming tracks. Naturally, the song flows seamlessly into track two: "Take Me to the Top." While it wasn't released as a single, it has definite potential to be one, especially in the United States. Its extremely catchy and upbeat nature would captivate American audiences and quickly make the group a staple on any alt-rock station. After this extremely fun song, we move into a more emotional atmosphere from the boys. The second single released from this album, "Cry Out," is a power-pop masterpiece. 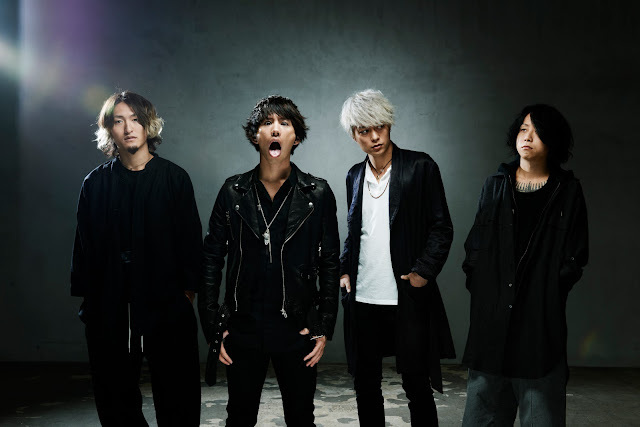 The English lyrics not only make sense, but flow well as Taka's vocals barely display an accent of any sort, which is surprisingly important to audiences of alt-rock in the states. The emotion of this song is palpable and focuses more on Taka's vocal prowess than the general composition or production of the song as a piece. "Suddenly" is the follow-up track to "Cry Out," and it's a killer. The song itself is incredibly well composed and takes influence from a couple of different rock genres to create an interesting atmosphere, almost anthemic. The song showcases Taka's powerhouse vocals when he sings out the following lyrics: "Suddenly, I'm breaking past the lies. It's something magical, we oughta say a lullaby. Into the pain I go, we say our last goodbye, suddenly." These lines are ironically uplifting and melancholy at the same time. The listener can tell there's some personal emotion involved where he is sad that a relationship is ending, but happy to put to bed the negativity right with it. Additionally, the song displays some serious talent on guitarist Toru's part as well. The song doesn't display any recycled rhythms or chords, but is a stand-up song all on its own. Following these three totally magnificent tracks is the highly experimental lead single "Mighty Long Fall" which is unlike anything else on the album so far. Its beat driven with heavy electronic influence. It's certainly a song with a good energy and vibe, but it gets lost in the overwhelming power of the first few songs and the heartbreaking emotion of the next track. While this whole album is generally excellent, if I had to pick a favorite it would be track six: "Heartache." First of all, the fact that it was used in a Rurouni Kenshin sequel is incredibly cool. Otherwise, the lyrics are genuinely heart-wrenching and deeply personal. It's also a welcome change of pace after having so many heavy-hitting, high-energy tracks. We now get to see a different side to the band, one that shows a sensitive side, and that's always welcome amongst the biggest of fans. Switching gears yet again, we come to track seven, "Memories". This number involves some American swear words which came as kind of a surprise, but the way in which they were used was quite tactful and appropriate. The general theme of the song is that the past is going stay a memory and the individual the song is about is no longer welcome in his life. This one brings the energy back to the album, but doesn't do much to stand apart from tracks like "Suddenly" outside of its use of some American curse words. The next track "Decision" is the third single and is a lot like "Cry Out" in terms of its emotional level in melody and lyrics, but also maintaining an upbeat energy that stops it from being depressing. Interestingly enough, the American edition of this album includes a new feature from Tyler Carter, who's voice is a beautiful choice for such a powerful track. Following the fantastic collaboration between Taka and Tyler is the second and final collaboration on this album. "Paper Planes" features the vocal talents of Kellin Quinn of the immensely popular band Sleeping With Sirens. Kellin's vocals have a uniqueness that is actually similar to Taka's and because of this, the harmony is brilliant. The song itself is extremely different from the other tracks. The use of a vocoder was a great choice to bring the vibe of a dance/rock song that is ideal not only for American radio, but for their extremely high-energy live shows as well. My only real critique of the song is that it seems to switch gears a few too many times in just three and a half minutes as if they chose the best parts of a few different songs and made "Paper Planes." Once again, following a banger like "Paper Planes" we have an extremely down-tempo ballad called "Good Goodbye." Being a super fan of acoustic balladry, this is probably my second most recommended song from the release. Taka's voice is like butter on the hook and chorus as he utilizes a falsetto most men would be envious of. If anyone has recently gone through a difficult breakup, look no further than "Good Goodbye" as your cathartic song of choice. Thankfully, after you get all your tears out and clean your face of the mascara that is surely all over your cheeks at this point, ONE OK ROCK brings the energy level back to 110% with the absolutely murderous song "One By One" which features the following things: an empowering hook that is catchy while not being overwhelming or annoying, harsh vocals that don't seem forced, and some electronic influences that set this track as well as the band itself ahead of the game. In trying to keep up that same energy, the boys come up just a little short with the high-energy-low-impact song "Stuck in the Middle." While it has some great pop/rock sensibilities like a fast-paced beat and mostly clean vocals, it just blends into the background between the hard-rocking "One By One" and the epic closer "Fight the Night". The original Japanese edition of this album closes with the aforementioned "Fight the Night," a track with everything you could ever hope and dream from an album closer. It leaves you wanting more in the best way. Its primary aesthetics are empowerment, fighting for yourself, and not letting the darkness overtake you. It's an important message to the fans of this sort of genre, "fight until you see another day." Now the new American edition of the album comes with two never-before-heard bonus tracks. The first of which is "Last Dance," a primarily acoustic track with some heavy lyrics and honesty that goes beyond the limits of what most bands are ready to put out there. I feel like this song can and will resonate with American fans due to its raw nature. The following track is a bit of a mystery to me. "The Way Back" seems to fuse a couple of different genres together, making it a bit of a stretch for most artists. However, the boys of ONE OK ROCK would be the ones to pull it off. While they're finishing this album on a note of high energy, the previously released songs with lyrics completely in English are the ones that steal the show. Anyone can tell they put a lot of effort and thought into this release and are really gearing up to take on the American music market. I expect great things from them here and you should too. Special thanks to Warner Bros. Records and Warner Music Group for providing us with the review material! This is pretty rad, I can't wait to hear all the songs when the album releases and for their upcoming concertd here in America!